For pretty much the entire history of the automobile, there’s been a trend towards sleeker, more streamlined shapes. Except for a span in the ’70s and ’80s, when new ideas about safety led to blockier bumpers and squared-off bodies to match, the design of the automobile has become more wind-friendly and better-looking. 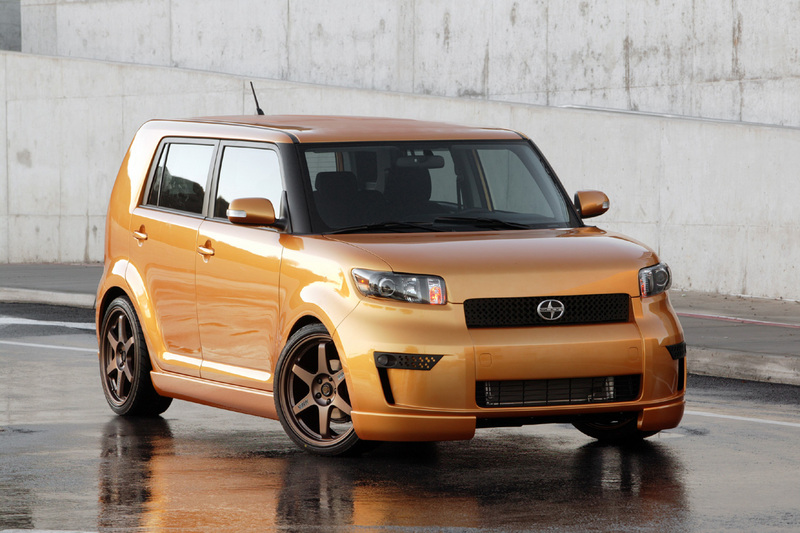 And then there’s the Scion xB. Now beauty is in the eye of the beholder, so I’ll leave it up to you to decide whether the xB is pleasing to your eye. But nobody can argue, this thing is blocky. It’s a car made from the Lego school of design – attach a smaller block to a bigger one, and voila! Fortunately, blocky shapes usually lead to roomy interiors, and the xB’s mini-moving-van packaging gives the car 40.7 inches of leg room up front, and 38 inches in the rear. For folks who like junk in the trunk, there’s room for 22 cubic feet of it behind the back seats – 70 if you fold those seats down. Power comes from a 2.4 liter inline-four cylinder engine that pumps out 158 horsepower. Now, owners of the first-generation xB may say, “Hey, that’s fifty more horses than my car, and it’s only 1.8 seconds quicker to 60? WTF?” Well, annoying dude who actually says “WTF,” that’s because the xB went on the Eric Cartman Beefcake Body-Building Plan and gained 500 pounds in its transition to the new generation. As a result, fuel economy suffers; no matter what transmission you choose, the xB ekes out only 28 miles per gallon on the highway and a pretty pathetic 22 mpg in town. So, it’s blocky, pretty heavy, and far from the quickest car on the block – why bother even thinking about it? Well, first of all, it’s got a pretty solid bloodline. Scion, for those of you not in the know, is a subsidiary of Toyota, much as Lexus is – if in the opposite direction. For their part, Scion has worked very hard to distance themselves from Toyota’s stodgy image; however, while you won’t be hearing the parent company’s name during those pumping, colorfully energetic ads that seem to be implying the target demographic like to roll E while driving round in their subcompacts, you might start to wonder when every Scion dealership you visit is attached to a Toyota one. The xB features average-or-better reliability ratings in most categories, so odds are you won’t need to worry about heading back to the dealership for replacement parts too much. At least, not voluntarily. This brings me to the second popular feature of Scion ownership: pimping your ride. One of the company’s biggest selling points (at least, that’s probably what they said during the pitch to Toyota’s directors) is their lengthy arsenal of manufacturer-approved accessories available right in the showroom for you to personalize your new car. I’m sure dealers dreamed of hip college students and high schoolers saving up the money they make at Starbucks so they could come back every couple weeks and buy a new shifter knob; in reality, most people probably stick to picking their options when they buy the car, just like everybody else. 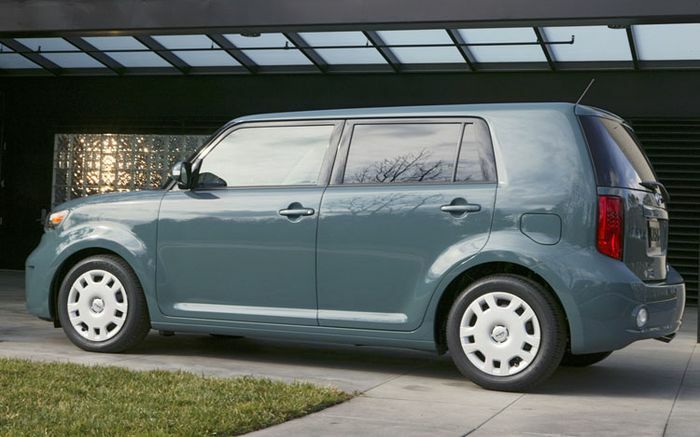 Scion’s options for the xB range far and wide, allowing you to transform your car into anything from a beginner-level Fast and the Furious dragster to a modern-day Mystery Machine, complete with green paint job. (Okay, I made that up.) You can check them out online and make your own choices, but if I had my way, I’d probably spec it up with the supercharger ($3600), performance shocks ($500), front differential ($1350), and the RAZO shift knob ($74); probably better to steer clear of the rear spoiler ($423), lowering kit ($399), 19″ wheels ($2150) and headrest television monitors ($1599) unless you want to go whole hog and paint “douchebag” on the side of the car (not available through Scion). 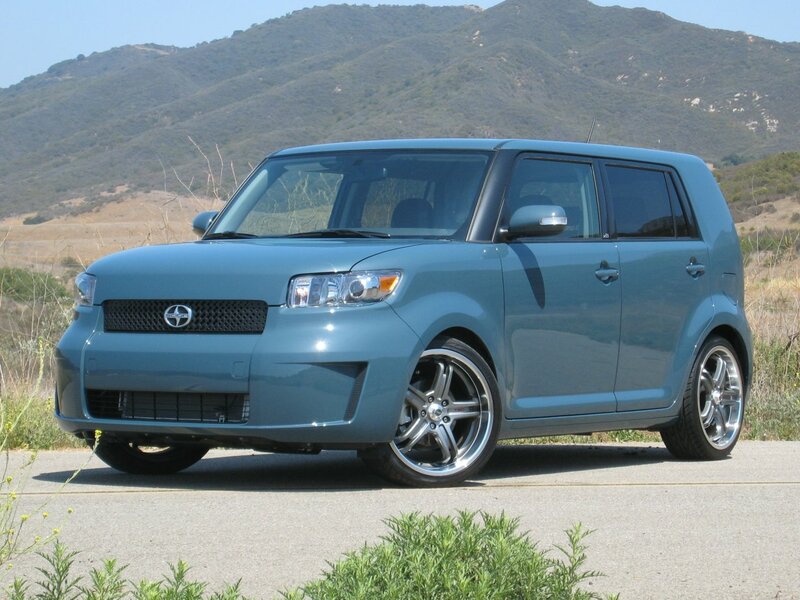 Then again, these fancy-dancy options quickly erode into the Scion’s third major selling point: price. Manual xBs start at $16,420, while the automatic will cost you a minimum of $17,370. 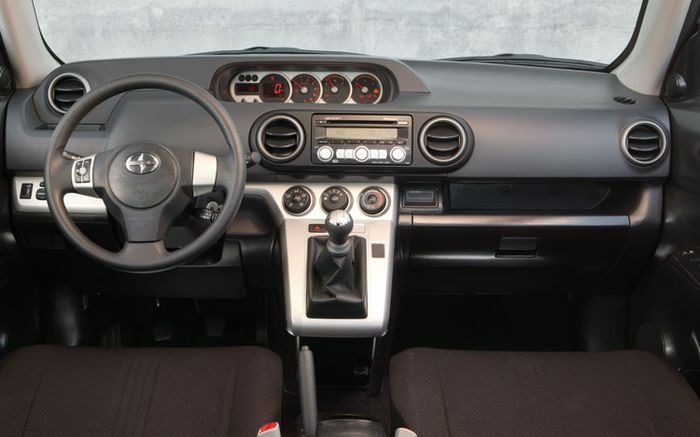 Not bad, but start going wild with accessories and that can go up fast: my personal-spec Scion listed above (with a manual, of course) would stretch my wallet to the tune of $21,944; the Douchemobile would run an almost identical $21,941, since all Douchemobiles have automatic transmissions. (That’s not to say all people who drive automatics are douchebags; rather, one of the several criteria of douchiness is the inability to operate a stick shift.) For that kind of money, you can buy quite a few sportier cars. Ultimately, the xB is a fairly decent little car, if a good bit too heavy. If you’re looking for something sporty out of the box, for sleek lines or good mileage, this probably isn’t the car for you; however, if you’re an individualist who wants a car they can easily make their own that can carry every part of your life with ease, it’s probably a good place to start.